Loving the color of this bubble Necklace from Wild Butterfly Boutique! Great for summer! 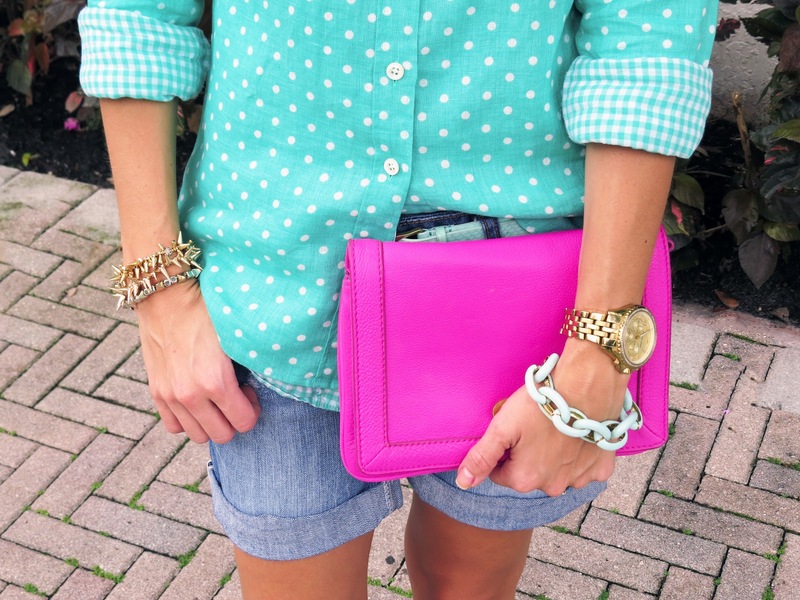 Mint and Pink is one of my favorite color combos! The rain has been non stop here in Florida! Only a week into hurricane season and we already are getting some of a tropical storm! This isn't a good sign! Today I am teaming up with Wild Butterfly Boutique for a fun giveaway! One lucky SOS reader will win the item of their choice form Wild Butterfly Boutique! They have some really fun statement necklaces, I am loving mine! The giveaway will run through wednesday! Good Luck! You inspire me to shop my own closet. I feel like since reading your blog, I can put pieces together better! Hasn't the rain been awful?! 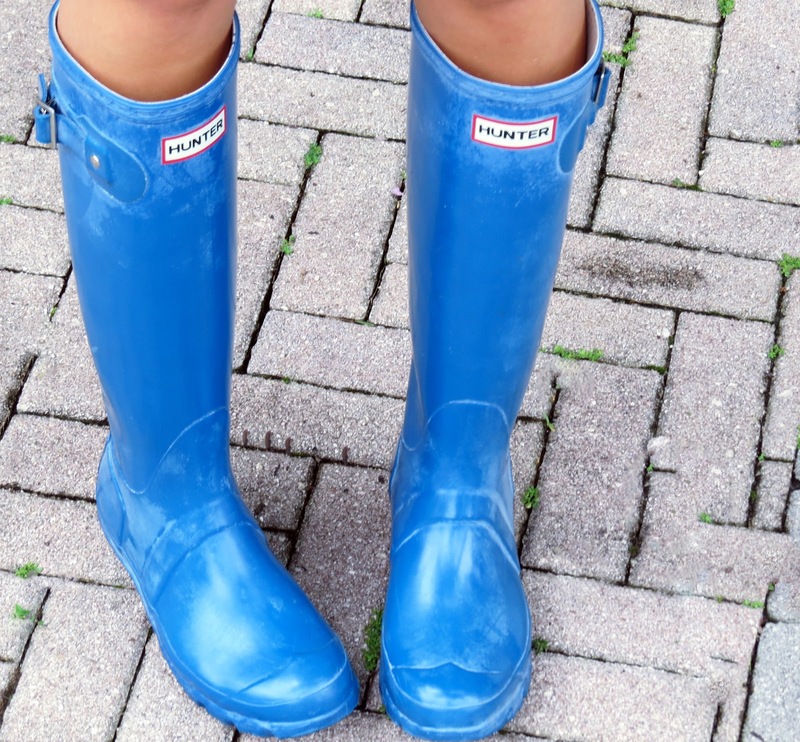 I'm definitely investing in a new pair of Hunters. Super cute outfit!! 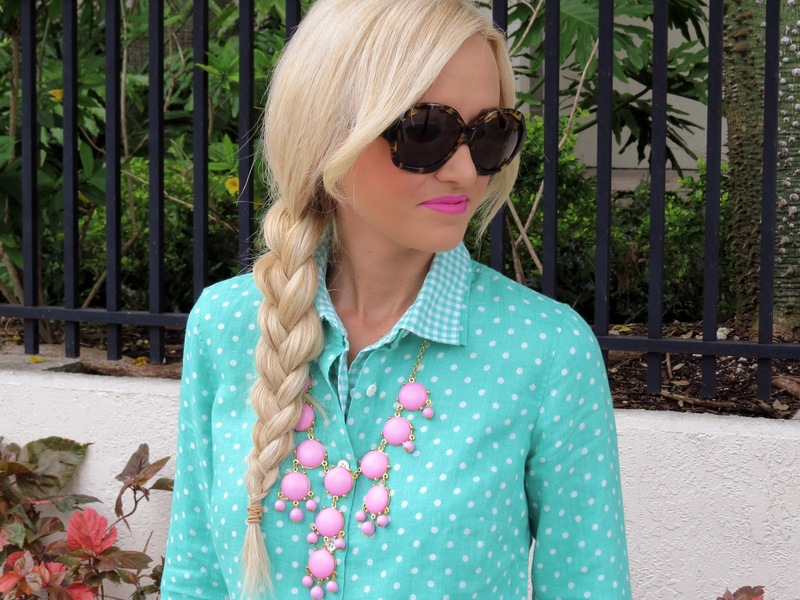 Love the necklace and those hunters!! Love this look! Definitely one way to brighten up a rainy day, which do seem endless as of late here in South Florida. You look great in this outfit! I love all the colors. So cheery! Hope you'll stop by my blog! Love your doubled up shirts! Just entered! How do you double up shirts look so put together. How do you button/fold the cuffs? ?